The Junior League of Pelham (JLP) is pleased to announce the 2017 recipients of its annual Community Grants Program. All of these non-profits support projects and services aligned with the JLP’s focus on healthy families, education, and Pelham improvements. 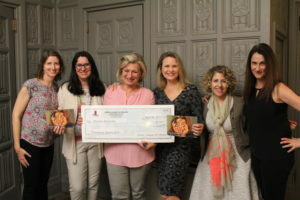 — Ladies of Charity is a not-for-profit organization focused on women’s and children’s causes, and supports the Pelham Day Care Center. JLP provided $500 to purchase yarn to make children’s mittens & blankets. — Cancer Support Team is the only Westchester based non-profit home care program, whose mission is to enhance the quality of life of patients and families affected by cancer. The JLP grant of $500 will be used to purchase supplies to make Chemo Comfort kits. — Project Community Inc. (formerly known as Nurses Network) began over 30 years ago when nurses partnered with their community to provide healthcare knowledge. The JLP granted $750 to fund a presentation to 8th-9th graders in Pelham on the dangers of binge drinking. — Pelham Children’s Center is a not-for-profit early child care and education center serving a culturally and economically diverse group of children. The JLP grant of $2,000 will be used to cover a portion of their food service program. — The Manor Club is a not-for-profit organization whose mission is to promote and provide cultural, educational, literacy, and philanthropic activities within Pelham and its surrounding communities. The JLP granted $750 to sponsor a lecture series targeted at middle school and high school students, in cooperation with the Women’s Empowerment Group at PMHS. 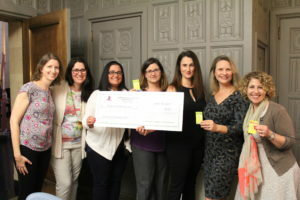 — Siwanoy School PTA received $500 to support its outdoor classroom that will break ground this summer. This space will allow teachers and students in all grades and various subjects to use the natural world as an integral part of learning throughout the entire year. The outdoor classroom will be accessible to the entire Pelham community to participate in hands-on, exploratory learning. — Pelham Art Center received $1,000 to support the outdoor Art Exhibit installations in the designated area of Wolfs Lane Park. 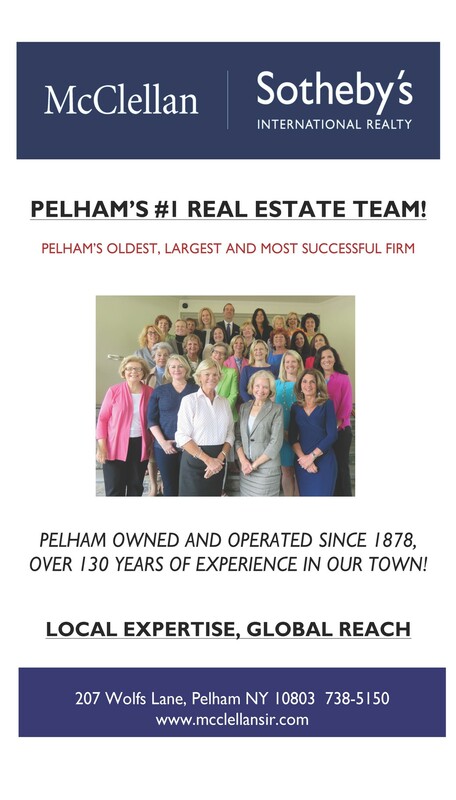 The Pelham Art Center is committed to providing high-quality, free and affordable art programs year-round to Pelham and its surrounding communities. 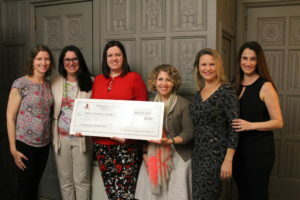 The JLP grant committee is honored to have awarded a total of $6,000 to these seven worthy not-for profit organizations after reviewing a total of eighteen applications.